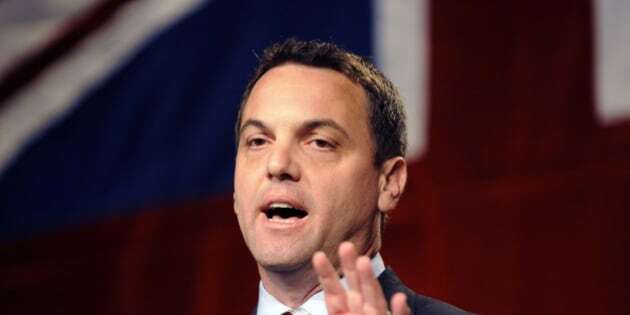 Tim Hudak recently turned to prominent Republican lobbying firm Greener and Hook for direction. It's a fitting move, as the Progressive Conservatives' most significant policy proposal comes straight out of the U.S. Right's "empower-big-business-and-attack-your-opponents" playbook. Hudak has made it clear that if he wins the next provincial election he plans to make it illegal for employers and employees to agree to have union dues automatically deducted from every workers' paycheck. A Progressive Conservative policy paper released last summer says, "No clauses in any provincial legislation, regulation or collective agreement should require a worker to become a member of a union or pay union dues as a condition of employment." Apparently, attacking unions' financial security plays well among the wealthy set. At an event that raised $2.1 million for the Party last month Hudak declared: "We will modernize our labour laws so that no worker will be forced to join a union as a condition for taking a job." But, there's nothing modern about the type of legislation he's proposing. In fact, the movement's roots are to be found in the racist backlash to U.S. president Franklin Delano Roosevelt's New Deal labour legislation of the mid-1930s. While many businesses were none too pleased with this move to grant U.S. unions legislative standing, southern segregationists were particularly appalled as they hated the way unions promoted worker solidarity across racial lines. Prominent Texas oil lobbyist Vance Muse expressed the racist outrage at New Deal labour reforms when he said, From now on, white women and white men will be forced into [labour] organizations with black African apes whom they will have to call 'brother' or lose their jobs." In a bid to weaken labour law, Muse spearheaded a movement demanding the "right to work." What he meant was the right to a job at a unionized workplace without having to join (or pay dues to) an organization that included black people. After post-World War II legislative changes granted states the ability to opt out of New Deal labour reforms, the move to outlaw union dues check off spread through the Jim Crow South. This prompted Martin Luther King to declare in 1961: "In our glorious fight for civil rights, we must guard against being fooled by false slogans, such as 'right to work.' It is a law to rob us of our civil rights and job rights." The Republican Right calls this legislation "right to work" laws even though they in no way guarantee anyone a job. In response, many Americans, including President Barrack Obama, have called them "right-to-work for less money" laws. A study by the Ontario Federation of Labour shows that U.S. "right-to-work" laws lead to lower wages, more dangerous workplaces and reduced rates of employer-sponsored pensions for all of a state's workforce. Not wanting to be too closely identified with the Republican Right, Hudak's team has come up with a different, though similarly disingenuous, label. They've dubbed their proposal "worker choice reforms." Yet in Ontario, workers must vote to include universal union dues check-off in their collective agreement so dues payment is no more "forced" on workers than other benefits and wages as well as responsibilities contained in their collective agreement. More generally, unions are democratic organizations. By law, a workplace only becomes unionized when more than 50 per cent of employees in the bargaining unit vote in favour of doing so. Outlawing automatic dues check-off provisions is simply a way to weaken unions by encouraging individual workers to "free-load" on their colleagues. Currently, all workers who benefit from the terms of a collective agreement pay dues, and since unions are legally obligated to represent all employees equitably, this seems reasonable. While Hudak claims to be promoting "worker choice", attacking unions' financial security is designed to weaken a civil society critic and empower big business. I'd bet Hudak's Republican lobbying firm knows a little something about that.